The key to a good party is simple… planning. Whether it is a small birthday party for close friends or a lavish extravaganza for high profile celebrities our events are planned with the same level of detail. Building up from that formula we can add as many creative and unique ideas to make your party as grand an affair as you wish. 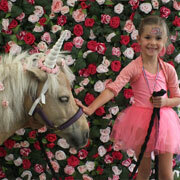 We have organised Unicorns rides at a Fairy themed party, Jedi Training Academy at a Star Wars party, Snow machines and real reindeer at a Winter Wonderland event, Pirate party on a fully decorated pirate ship as it sailed down the river and we are always looking for new, exciting ways to make magical moments and unforgettable parties. 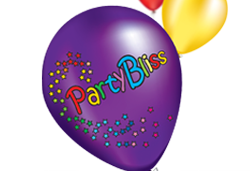 The Party Bliss extended family includes a team of talented performers and artists who share our passion for entertaining as well as our commitment to providing an exceptional professional service. Smaller parties are charged at a price per guest. Larger parties are charged at a fixed rate. Please Contact us for a quote. 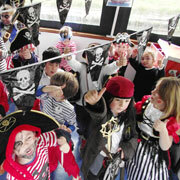 If you need inspiration for a themed party, our list below will give you plenty of ideas. 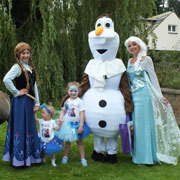 We love the challenge of creating new parties so if you have a different idea that you would like us to theme your party around, just let us know.